There are several reasons one may need to remove a tree. Whether trees are encroaching your property or have overhanging branches that are unsafe for pedestrians or vehicles. Also after a storm fallen trees or branches may have damaged homes or blocked driveways. Or you may have received a citation from the city or your HOA. Regardless whether the trees are out of place, overgrown or otherwise unwanted, our Atlanta and Johns Creek Tree Removal team helps keep your property safe, aesthetically pleasing and up to code. Safe removal – If an entire tree or tree limbs need to come down, we can handle all parts of the process. These include cordoning it off from the rest of the property, removing the unwanted parts, cutting them up, grinding down the stump, and hauling all the debris away. Stump grinding – To remove unsightly tree stumps without doing damage to one’s landscape or property, stump grinding is the best option. It utilizes specialized equipment to literally grind the stump into mulch, which may then be distributed across a garden or yard if desired. Storm damage cleanup – Tree branches, trunks or other debris may be scattered across your property following one of Atlanta’s fierce storms. We can help to collect and dispose of the debris in a safe and efficient way. It is not always advised to take on tree removal on one’s own. This is especially the case in emergency tree removal situations, where large tree branches, fallen trees and compromised structures exert uneven pressure on the ground, which may potentially cause them to collapse unpredictably if improper cuts are made. This could exacerbate an already potentially unsafe situation. Even in non-life threatening instances, we put a wide range of professional-grade tools to work for you, ensuring that the result will be done right the first time. These tools include cranes or bucket trucks to stabilize and facilitate the removal process, stump grinders to remove stumps without leaving ugly scars across your landscape, shears and saws for making clean cuts. We have all the proper safety equipment to keep everyone and everything on the job from being harmed. 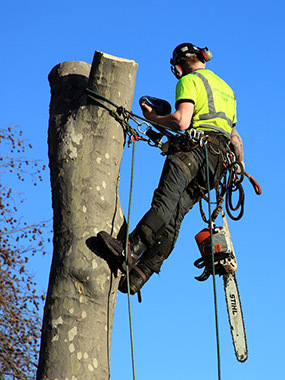 We are your go-to guys for any and all Atlanta tree services. Put fasttreeremovalatlanta.com in your list of service contacts or give us a call today!